If you've been following me a while, you may have already noticed my love for Aritiza pieces. I mean, what's not to love? 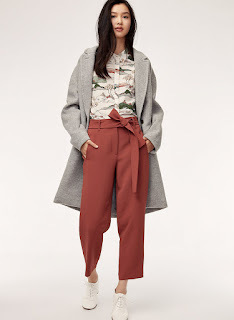 Their versatile pieces, the colours and textures and their love for minimalism is the way to my heart. Not only do I love their clothing but also, their spaces for its aesthetics. Each space is unique and styled a bit differently. From art to furniture, I love that each store has their own design, while carrying that same Aritzia-feel we all love. 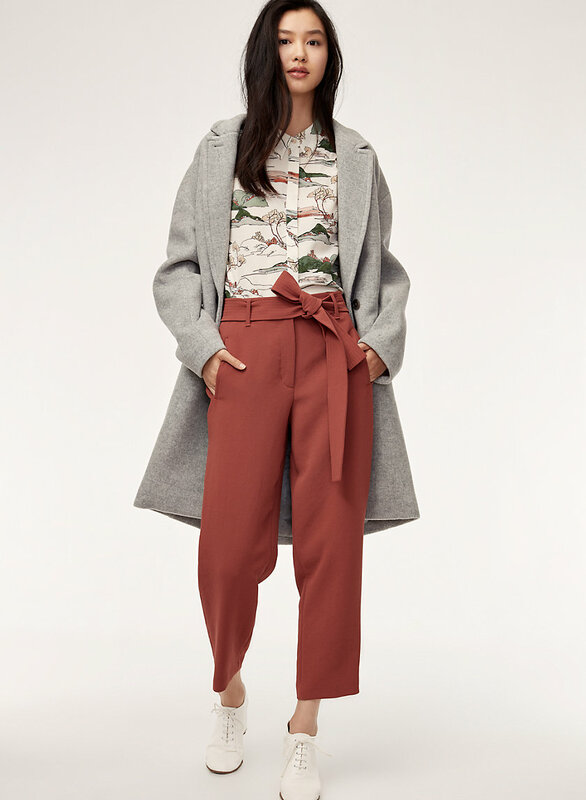 When Wilfred and Babaton (two of my favourite lines Aritzia carries) opened its boutiques, I was so excited as we now have wider range to chose from. 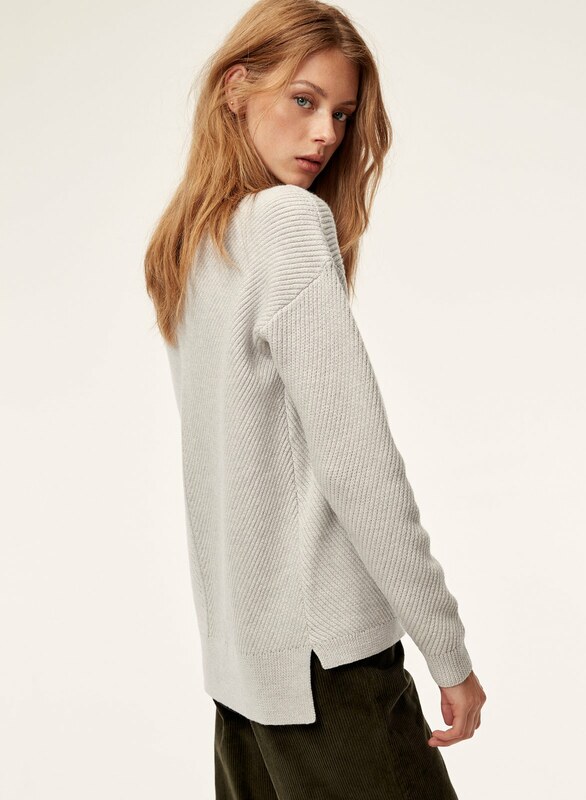 I've rounded up a few of my favourite pieces from Aritzia for the season. 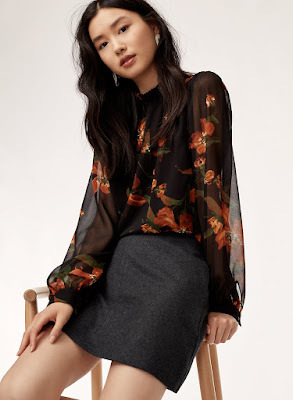 Hopefully it will give you some Fall and Winter Inspo. Let's start with coats because they're my favourite. I absolutely despise being cold; I'm definitely a coat and jacket girl. Even in the Summertime, I usually have a light coat in the car just in case! 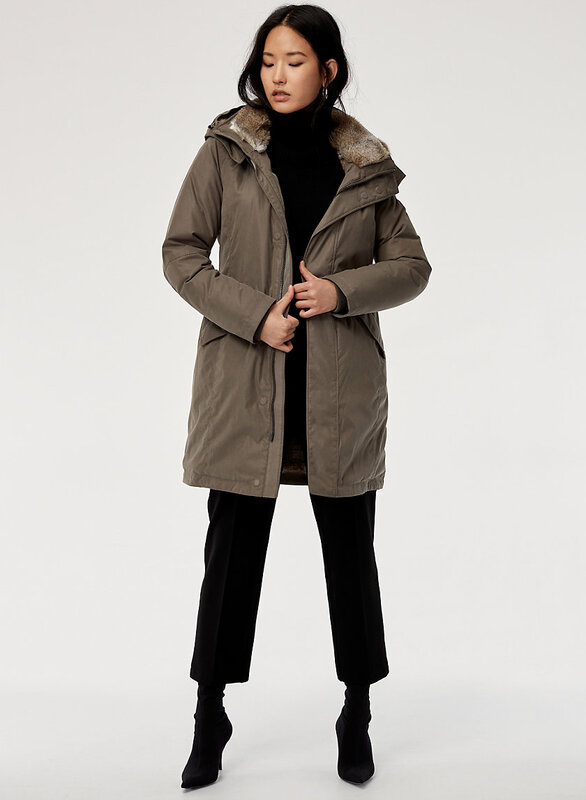 One thing I love about Aritzia is that they label their clothes with 'designer notes' and what my eyes will always go to first is the type of weather each coat is for. Being in Toronto, I need to know that my coats can handle the cold weather so having what temperature the coat is made for is definitely helpful. 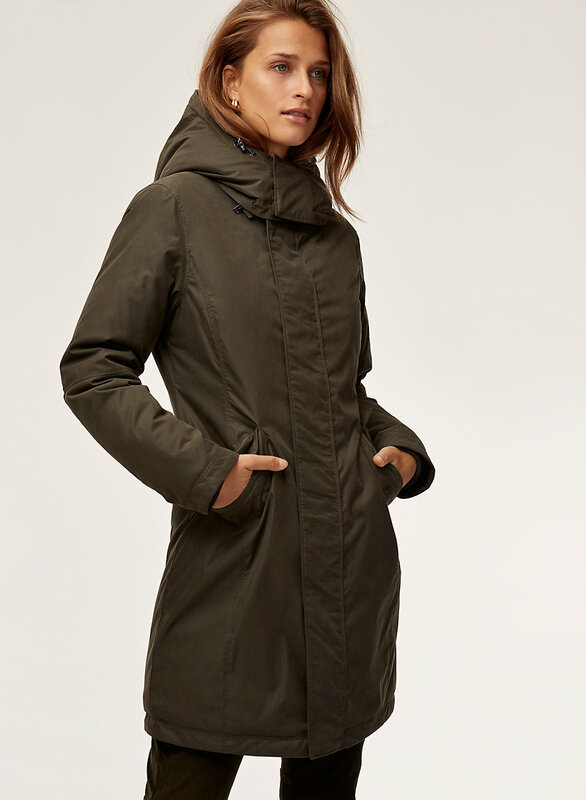 Something that is also important to me is how clothing is made and this parka is made with responsibly sourced goose down. Because most of you guys already know me well, I'm a sucker for wool coats. I have quite a few in different colours, styles and fits. If I could, I would get them ALL but here are a few of my top picks. 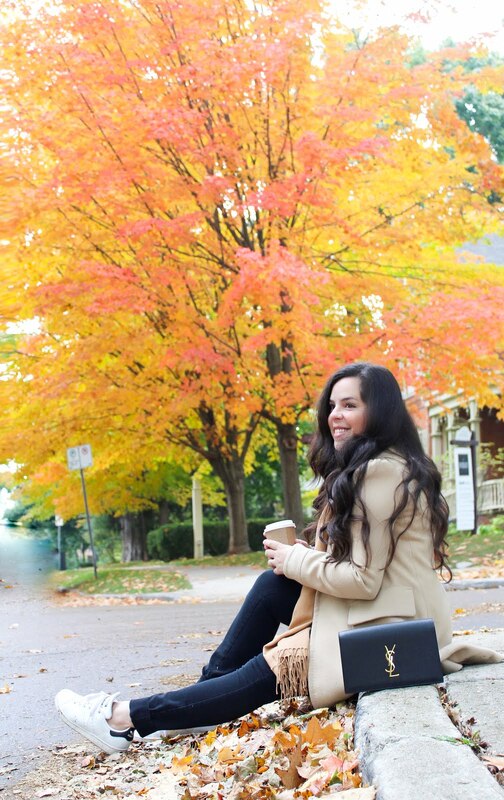 I have also added the Grete coat to this Fall edit because it's so cozy. I was looking for a teddy bear coat but wanted one that I could dress up as well if needed to. 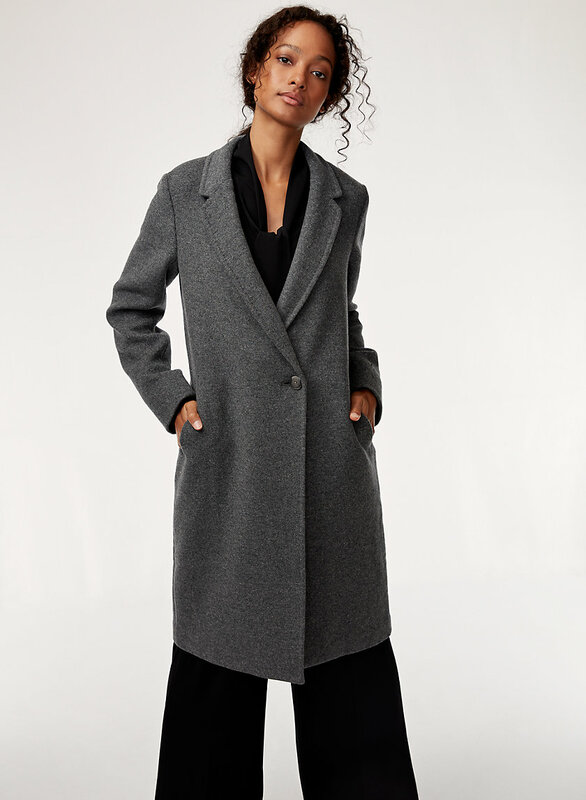 I found the Grete coat and found that it was a good mix of both worlds. 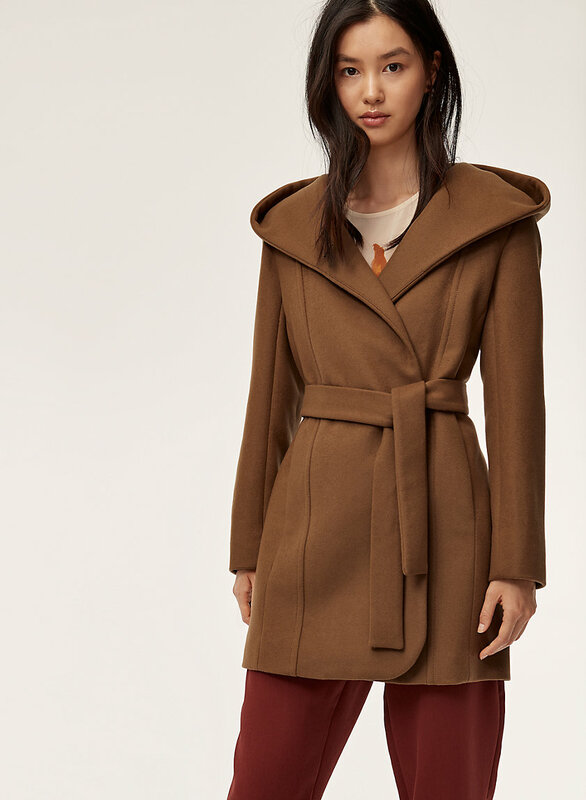 It's a cozy coat but in a neutral colour and more polished cut. It was hard to pick the colour as they are all SO good. I ended up picking up the Bone colour because I feel it gives me the most versatility; although the other colours were hard to pass up! For work, I have a couple of structured blazers but this past month, I added the Chevalier jacket to my work wardrobe. 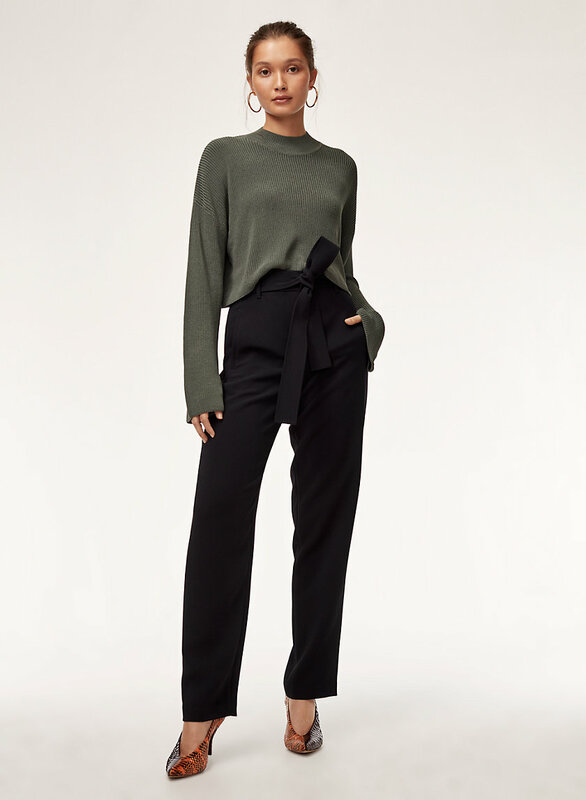 Not only is it great for as work wear, it wears well and looks chic with a pair of skinny jeans and heels for a date night. 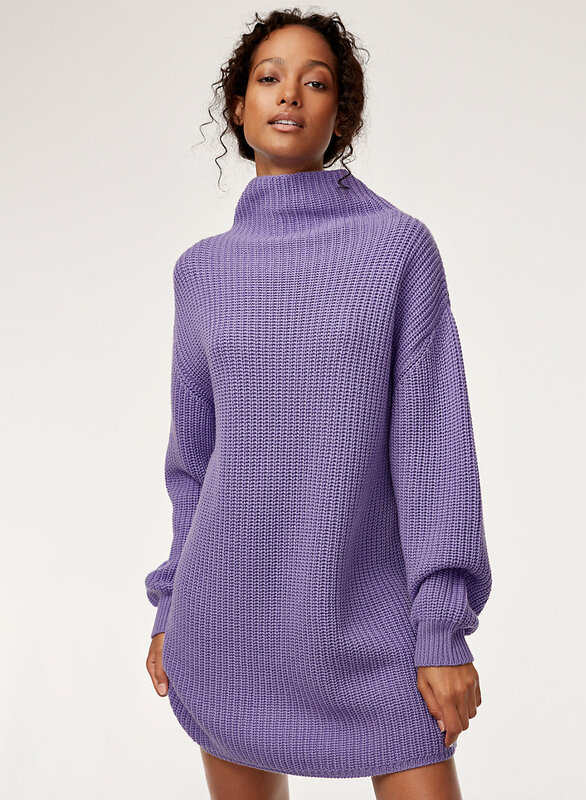 It's such a versatile piece, I love it that you can wear it beyond the 9 to 5. I fell in love with these pants (Wilfred Jallade) the moment I saw them, The difficult part was deciding on what colour to get as they have so many different variations; in colour, length and material. I ended up going with the dark grey ones and I absolutely love them. I always get so many compliments on them! I highly recommend them. 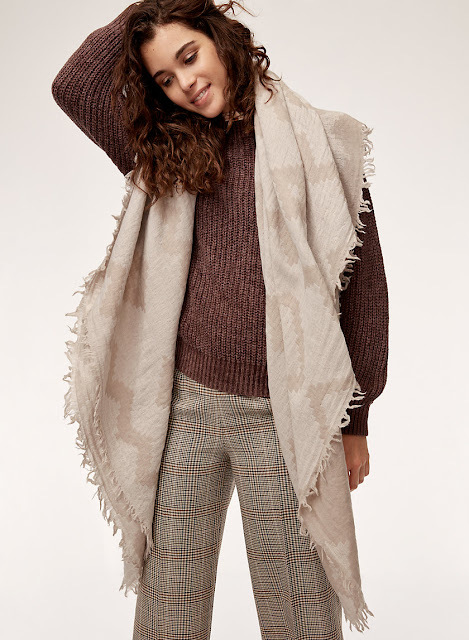 For my girls who live in colder cities, they also come in a wool and cashmere blend to keep you toasty. The Daria Pant: These leggings are so smooth they feel like butter! I wasn't sure about getting these at first because other than a leather jacket, I haven't done any other type of vegan leather. I think I can tone them down though with the right sweater and coat. They are machine-washable and so comfortable. 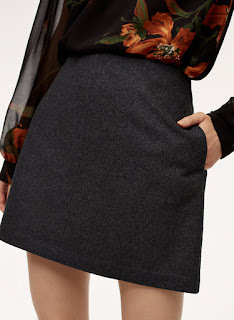 Wilfred Essonne Skirt: If you're looking for the perfect Winter skirt, look no further. The Essonne skirt is the warmest mini skirt. Its made from Italian flannel which is a blend of wool and cashmere. I love the structure of this skirt. I usually wear this skirt with my OTK boots, making it a warm alternative to wearing pants in the colder months. I have it in charcoal but it comes in five colours/patterns. Wilfred Isabelli Sweater: I've always loved waffle-stich so when I saw this cozy sweater, it was a no brainer for me. It's such a warm sweater, making it perfect for winters in Canada and it comes in 8 gorgeous colours. Either one you go with, it'll be the one you reach for in your closet, over and over again. Shop it here. And of course, how can I leave two of the coziest pieces, the blanket scarf and the beanie. 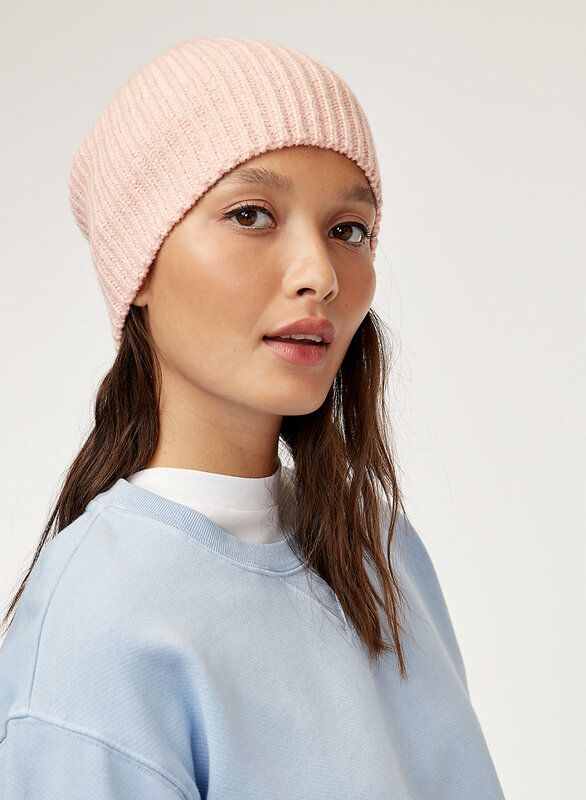 Even if you live in warmer cities, these pieces are perfect for milder Winters. The only difficult part will be picking out which one you like best...the Mosaic scarf is available in 24 different colours this season! 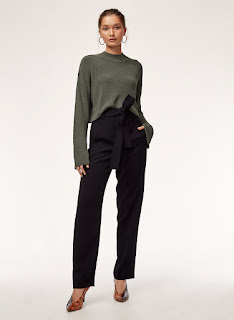 Let me know what your favourite Aritzia pieces are!